I had my annual Fall Minis back in October at the homestead and it was so great to see all of the 21 families who came out! There were lots of familiar faces and quite a few new ones as well! The weather held out better than last year and we had some beautiful days. Thanks to everyone who came out…before we know it, it’ll be time for this year’s Fall Minis!! 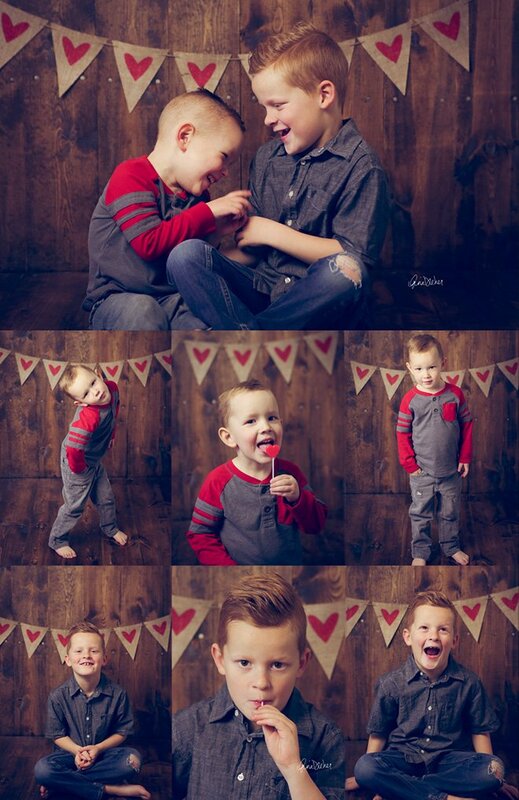 In honor of Valentine’s Day tomorrow, I thought it would be perfect to post some favorites from my Valentines Minis. This was the first year I had done minis for this holiday (“holiday” to some, haha! ), and it was a lot of fun. I had two sets in my studio and we had so many cute little kiddos come by to see me. Before all those kiddos came, I made my own boys help me test things out. They can’t be serious to save their lives, but they sure are adorable! And then I did two couple/family Valentines Minis on a different day. It was cold, but we made it quick and I think these turned out so cute! Happy Valentine’s Day to you all! Give the one you love an extra smooch! Each year for the past 4 years, I have done a big Fall Minis event in the autumn. 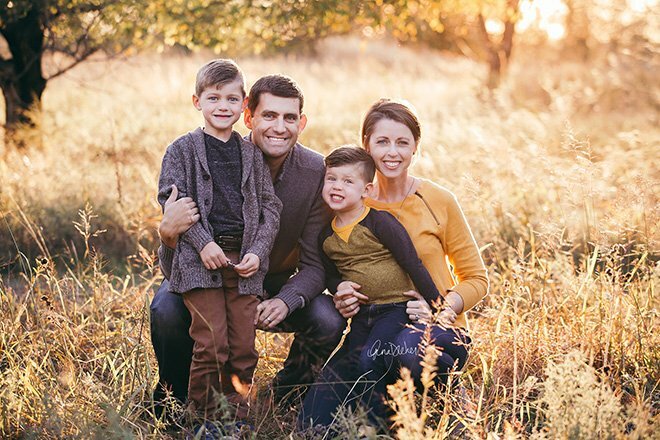 Each year I am blown away by the response, and the awesome families that I get to photograph! 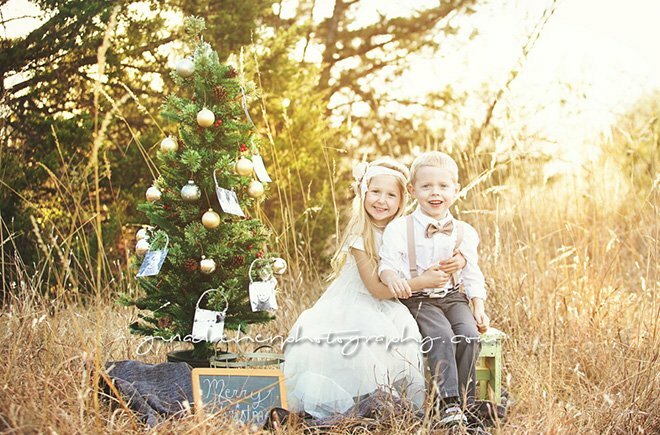 This year, we kept things very simple in hopes that these photos could be used for more than just Christmas cards. I wanted families to be able to print these on giant canvases to hang above their mantle if they wished. Rain threw a bit of a kink in our plans, and instead of having two days of Minis, I ended up shooting this on six separate days due to lots of rescheduling. But we got everyone in and I think the photos turned out beautifully! 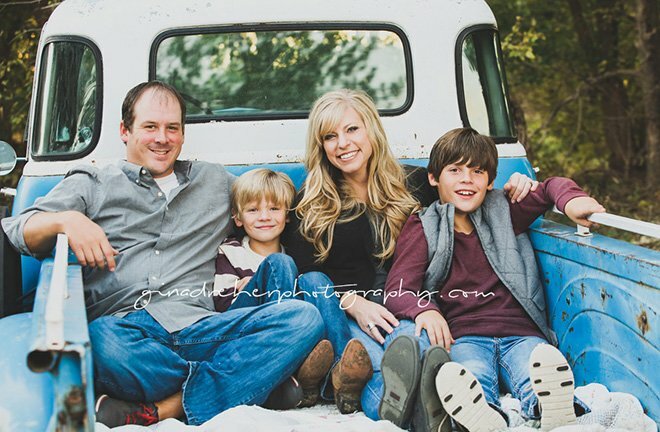 I am sharing a photo of each family below…thank you SO MUCH to everyone who came out this year, you guys rock! 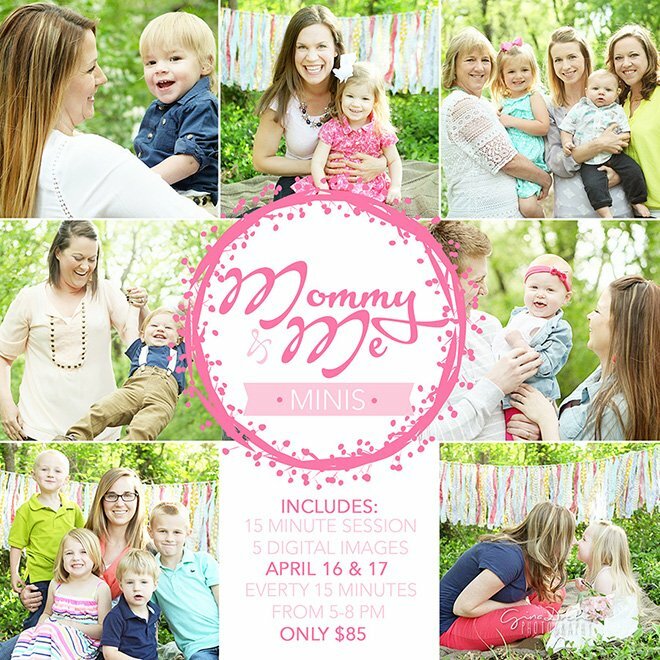 Instead of Mommy & Me Minis this year, I decided to open it up to everyone for one-day-only Spring Minis! 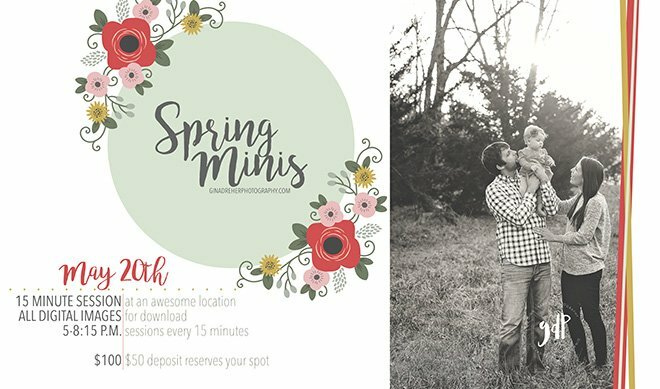 Spring Minis are for families, kids, couples…anyone up to six people. The biggest and most exciting difference between these and my past minis is…these will include all of your edited digital images for download! You don’t have to narrow it down or pick and choose…you’ll get them all! To sign up, please click here. You’ll be directed to my booking website, where you’ll just need to scroll down and select Spring Minis and then follow the instructions to get your deposit taken care of. 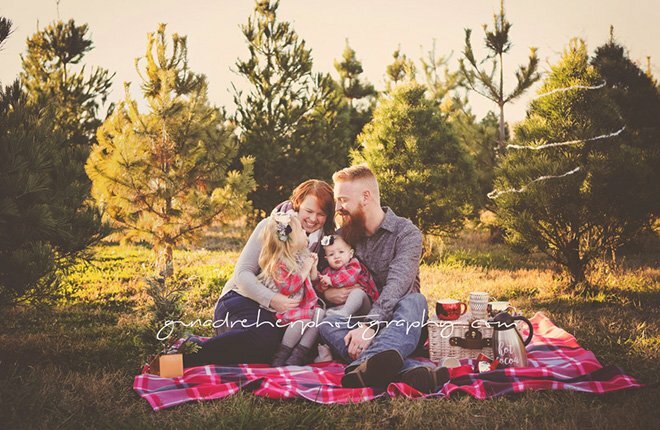 Now that Christmas is over, and Christmas cards have been sent and received…I can finally share one of my favorite sessions from the end of 2016! I met up with the Klassen family at a Christmas tree farm at the beginning of December to do some 6 month baby photos + family photos. Momma Natalie brought some of the CUTEST things to use as props: red plaid flannel, coffee mugs, a wicker basket, a tiny Christmas tree, and of course matching outfits and headbands for her babes. Enjoy some of my favorites! We had such a fun weekend out here at the homestead about 3 weeks ago. 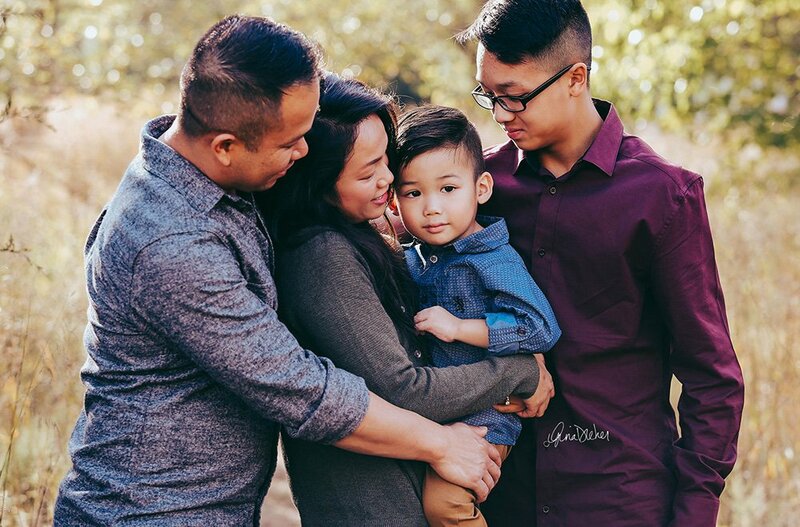 I had over 30 families come out for photos! We had a few different setups, one of which was an old vintage truck that was super amazing. My friend Danielle got the truck, as well as all of the other props, and she planned the whole setup. It looked so cute, and I think everyone loved it. Thanks to all my awesome clients for coming out! Here’s a little peek at each of the families. Until next year! Adam and I are good friends with Kira’s stepdad Keith, and when he contacted me about photographing Kira’s birthday party, I didn’t think too much of it. But when I arrived…holy canoli. Kira had planned an elaborate Alice in Wonderland-themed tea party in a beautiful garden. 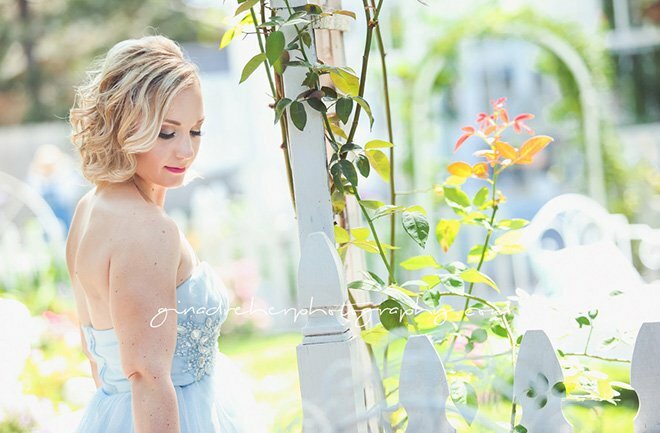 There were so many fun details to photograph, I was in heaven! In addition to the details, I got to have a little pre-party photo shoot with the lovely Kira (who does NOT look 30), who made all the food herself! Her party-planning and cooking abilities were perfectly on-point. There was live music from the uber-talented Lacey Cruse, cake, friends, family, and all-around gorgeousness. I can’t describe it, so I will let the photos do the talking! Happy Birthday Kira! Thank you thank you to all the awesome families who came out to the homestead for my Mommy & Me Minis! The weather unfortunately threw a kink in my plans and I couldn’t use the location out here that I originally planned, but we all still ended up with some super cute photos. 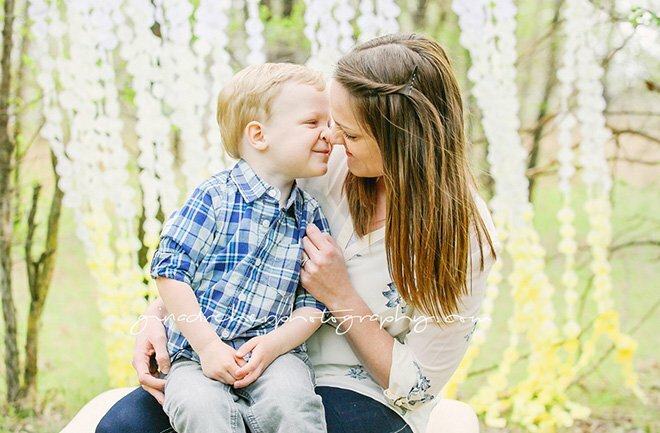 You all have beautiful children, and I’m so glad that I could capture that relationship for you, no matter the weather. 🙂 I hope you all enjoy your photos! I am completely full for photo sessions through May, so this is your chance to get in before summer hits. Check out the details above, then read the info below. -How many people will be in the photos? 2) Wait for an email from me with payment instructions. Half of your payment is required to reserve your spot. With tax, that deposit totals $45.69. 3) Once payment has been made, you will receive a confirmation email from me with your time and date. I am EXTRA excited for these Minis because they will be taking place at my new house! As I mentioned in an earlier post, we recently moved to the country, northwest of Wichita, and we have some beautiful acreage that I am just itching to shoot at. © Copyright 2015. 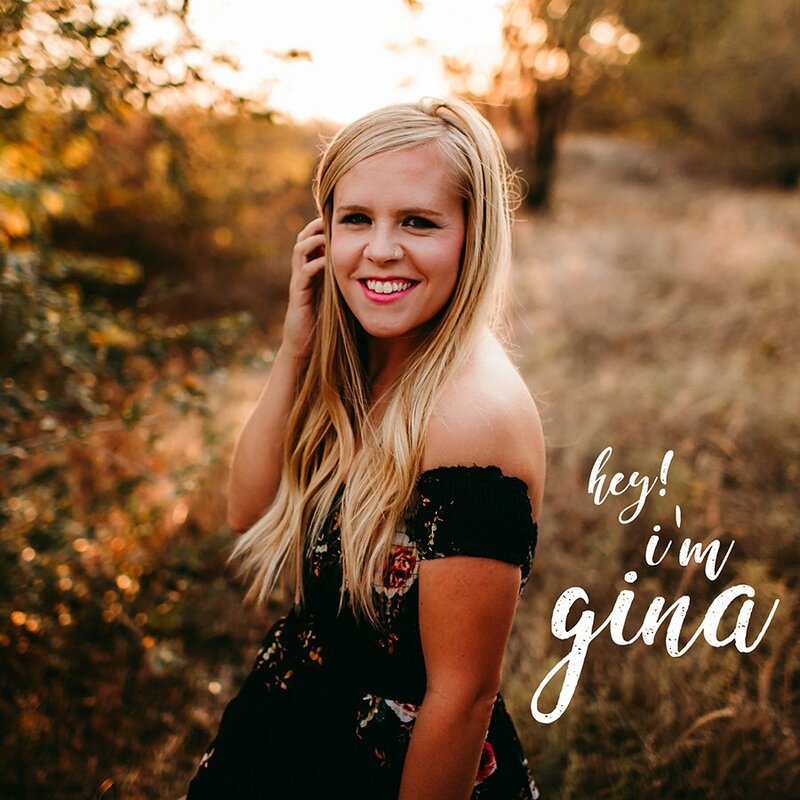 Gina Dreher Photography. All Rights Reserved. Design by Bloom.